Dr. J. Francois Eid is the Director of Advanced Urological Care, PC, a practice entirely focused on the treatment of ED with implants. Born in Brussels, Dr. Eid received his Bachelor of Science in Bio-Engineering from Brown University in 1976 and his M.D. from The Medical College of Cornell University in 1982. He completed his urological training at the New York Presbyterian Hospital and Memorial Sloan Kettering Cancer Center in 1988. 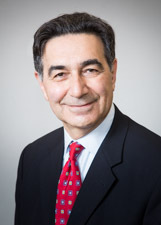 Prior to founding Advanced Urological Care in 2001, Dr. Eid was Associate Professor in the Departments of Urology at both Weill-Cornell and Sloan Kettering (cf. above). During his 10-year tenure at these institutions, Dr. Eid was exposed to the most challenging cases of ED, acquiring a focused, unparallel surgical experience.